f I had a quid for every person who has told me recently that they are about to subscribe to the service but just haven&apos;t quite got round to it the beers would be on me. If Spotify canned the free service then those users would have no choice. If the service was £5 a month the subscribers would base would be huge. The target is apparently to convert 7% of Spotify users into subscribers. Spotify hasn&apos;t released figures but I guess the figure is a long way off at the moment, even after all the innovation. This way round I think 15% would be feasible. Bizarrely though unlike the US CLIQ there&apos;s no Twitter client – I guess you choose your own from the Android Market – and also Mint and the highly useful TeleNav Navigator both of which feature on the CLIQ. It does this by collating plays, views, fans, comments, and other data for almost half a million artists across major online properties, including iTunes, Last.fm, MySpace, Facebook, and Twitter. The DF Solutions multimedia set ups is one of those things you just wished you owned. Sadly, 99% of us never will. 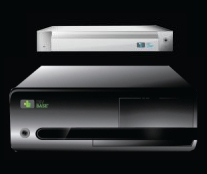 It’s a pretty similar solution to the Kaleidescape products we’ve seen before. This time it’s a 1TB HDD solution that’ll play and upscale video to Full HD. The base unit, known as the Base, supports up to 17 audio outputs and you also attach link units, known as Links, to bring visual joy to other all sorts of other rooms in your palace as well. You can store some kind of epic number of CDs and DVDs (20,000 and 3,000) and play back all the important video files – H.264(MPEG-4), wmv, avi, mpg, asf, qt, mov – but the real boon is the internet connection which brings you all the usual YouTube, Amazon, Google, Flickr widgetry plus the recent addition of last.fm too. It’s all connected up by cat5 cables and has an absolute dream of an interface known as iDyl. It has to be seen to be appreciated. It’s like a sliding wall of all your media with just the right amount of information offered at just the right times. As for the price, well, if you’ve got ask, then you can’t afford and I forgot to ask so we’ll never but perhaps by virtue of not asking then it means that I can afford it? Sadly, I’m not sure the logic works the other way around. 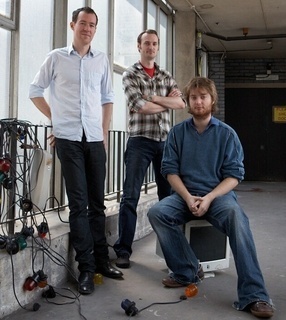 Martin Stiksel, Felix Miller and Richard Jones, the three men who founded last.fm in East London in 2003, have today left the company. Last.fm has been owned by American media conglomerate CBS since May 2007 after they bought it for £140million, netting the trio around £19million each at the time. Rumours are bound to circulate that their departure has got something to do with the US blog TechCrunch’s recent posts, claiming that CBS had possibly handed over last.fm customer data to the RIAA without the site’s agreement. It might also be worth noting that it is almost exactly two years since the trio agreed the deal with CBS. It might therefore be possible that there was a two year handover period in place. Details of the departure should be coming clearer in the coming days. What is clear is that Stiksel, Miller and Jones’ idea has played a major role in the dramatically altered landscape of music distribution. With streaming music become more poplar and more commercially viable with services like Spotify, it is fair to conclude that these three developers will be remembered as pioneers of digital music. Plus, they’ve all got millions of quid in the bank, so it’s not all doom and gloom.